Typically, new employees are either assigned to other employees who have some free capacity to train them in, have the knowledge required, or to those who will be sitting next to during their day to day work. Don’t take me wrong! on-boarding and training of new employees are important steps for both parties. The type, quantity, and quality of training a new employee receives, greatly influences their career development and skill set. So you should think about training your employees not just as a costly necessity but as a good investment! The advancement of technology, in particular software programs, eLearning platforms, etc. and the availability and ease of use of the internet in general, which allows the end user to learn anything, anytime anywhere, have facilitated the delivery and uptake of corporate eLearning. So now, companies are migrating from the traditional form of delivering training to corporate eLearning using educational technology. There are plenty of companies and universities out there that offer ready-made online training for software, creative, and business skills. So there is no reason for a company to spend time and money creating and delivering their own specific training courses. Companies can now purchase this type of training courses online easily by monthly subscription and the employees achieve the same professional goals. I find that nowadays, it is mostly high-tech companies that invest the most in corporate eLearning. However, more traditional companies and government bodies alike are now coming around to the conclusion that it is more efficient to implement an eLearning program customized for their own needs that spending hours on one-on-one training sessions for each new employee. Corporate eLearning brings not just convenience but also ease of use. How an employee can access the content (interactive, virtual, mobile, on-demand) has been instrumental for companies in choosing corporate eLearning over traditional methods. By providing employees with a computer at their workplace, and allocating reasonable time to study, any employee can learn anything, anywhere, at any-time. Nowadays, an employee can access a course to learn how to use a new software program needed for their job, upgrade their skill set, or learn about their company’s latest health and safety procedures. 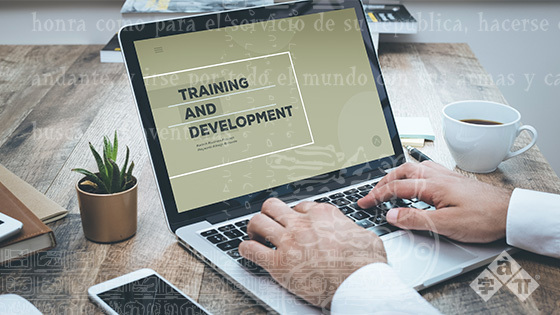 On the other hand, corporate eLearning allows companies to conduct these training sessions quickly and at a lower cost by investing once in the content, the software programs and the platform; rather than organizing one-on-one training every time a new employee joins the company, or a new tool is purchased. Based on the above results, a company can then figure out engagement rate; what content staff have the most difficulty with; what kind of training they would like in the future; or how much time they need to allocate to each module for it to be completed fully. Setting up a learning management system (LMS) for the administration, documentation, tracking, reporting and delivery of eLearning, will allow a company to build a training library and save time and money in the future. This in turn will also ensure that employees are well prepared with the skills and knowledge necessary to carry out their daily tasks.